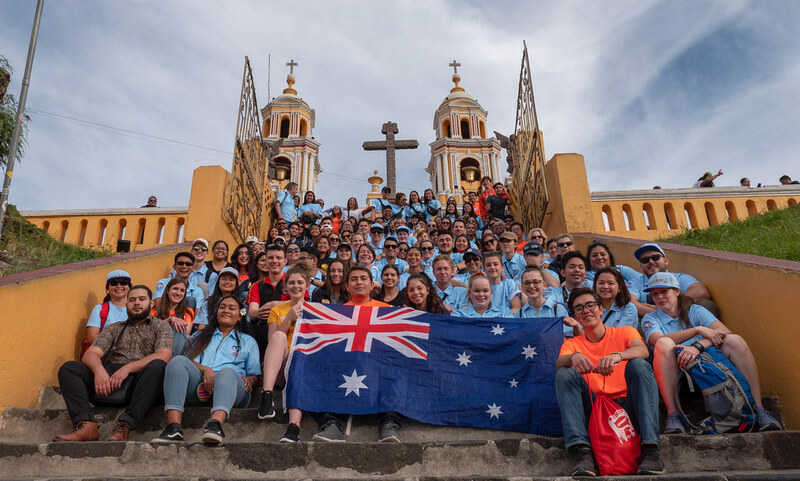 It was time to say Adios to Mexico and say Hola to Panama as the Diocese of Parramatta pilgrims travelled from Mexico City to Panama (via the United States). Despite obvious tiredness from long days, jet lag and early morning starts, the pilgrims were in good spirits throughout the journey. Although several delays plagued flights, all pilgrims arrived safely and in good spirits. A warm welcome greeted pilgrims as they arrived in Panama. Image: Diocese of Parramatta. The Diocese of Parramatta contingent led by Bishop Vincent Long OFM Conv were greeted by Panamanian airport officials and ushered through security checkpoints and greeted by representatives of the World Youth Day 2019 committee. Diocese of Parramatta pilgrims, with Bishop Vincent (right), soon after arriving in Panama. Image: Diocese of Parramatta. After arriving late on Sunday night, Panama time, pilgrims had the opportunity to catch up on some much-needed rest a day before the official World Youth Day activities begins on Tuesday.